Hi, this is a quick update on Facebook viral fun quiz scripts available in the market. Within 3 months, several changes happened to viral fun quiz scripts and most of the changes are related with Facebook updates. Some of the scripts are no longer available in the market. Current users of the some scripts lost access to support from script seller. Nowadays, you will not have many choice on it. To help you make better decision, I create the following table. 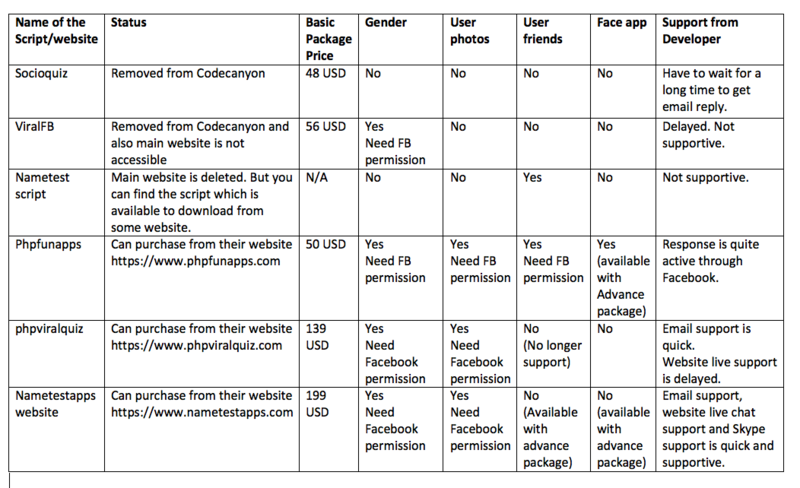 So that based on the above table, phpfunapps, phpviralquiz and nametestapps are the best option for you. 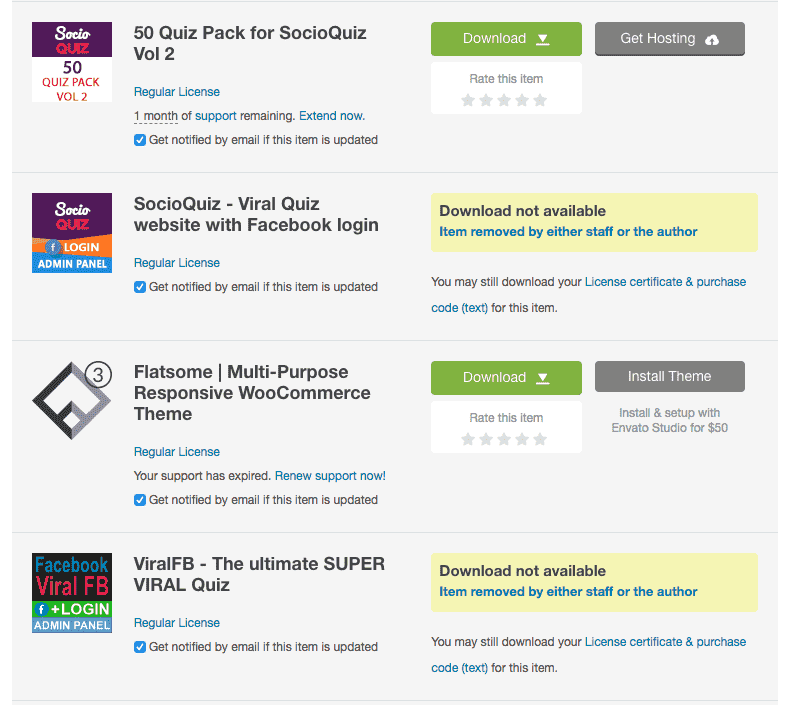 You can read my detailed review on phpviralquiz and nametestapps on this blog. I haven’t tested phpfunapps script, so that I cannot tell you in detail about phpfunapps. One important thing you need to consider is viral features of the scripts. Some of the scripts are good at features, but they cannot really go viral. Here is my review and comparison about the scripts which can really go viral. Based on above facts, I hope you can select the best script/website for your viral website. please fix the row of nametest script(the one that got deleted), not the nulled and not the original have any gender options. Hi, thanks. I will update it.